Problem: A strong employee has given you her two-week notice. She’s leaving your organization to work for a competitor. What’s worse, however, is the suggestion—either explicitly stated in her exit interview or simply hinted at in her final days—that she felt unappreciated at your organization. You were grateful for her hard work, so why didn’t she know that? Put it in writing. Schedule some quiet time every week to hand write thank-you notes to employees who have gone the extra mile. Many people will keep those tangible mementos of your gratitude, so your appreciation won’t quickly be forgotten. If possible, for especially noteworthy actions, include a small gift with your note. It need not be expensive. A $5 gift card to the person’s favorite coffee shop or lunch spot can go a long way in making an employee feel valued. Draw out their leadership potential. Foster employees’ loyalty and respect for the organization. 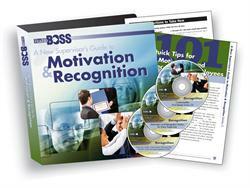 Motivate and show appreciation to others. Do you know a stand-out new supervisor or manager? Reward that person by nominating him or her for a Bud to Boss Award! To nominate a top new leader, click here! If you ARE the top new leader, be sure to nominate yourself! This entry was posted in Bud to Boss Take 5 and tagged appreciation, employee morale, gratitude, motivation, Thank you. Bookmark the permalink.